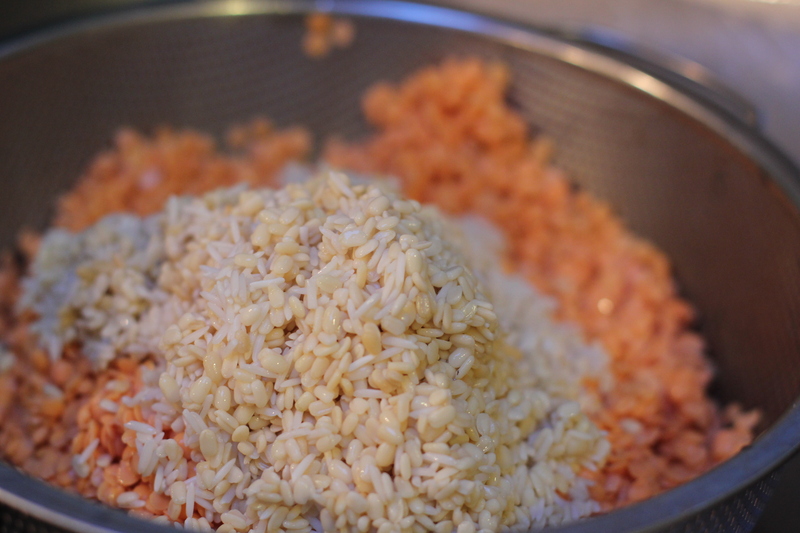 I’ve posted a similar recipe before; Dhal Wade, this is just an update on the recipe and some more detailed photos of the “how to” process. I’ve also decided that there is no agreed upon spelling for “Vadai” and have decided to go with a different spelling today. Soak the peas/lentils, rice and dhal for at least 4 hours. 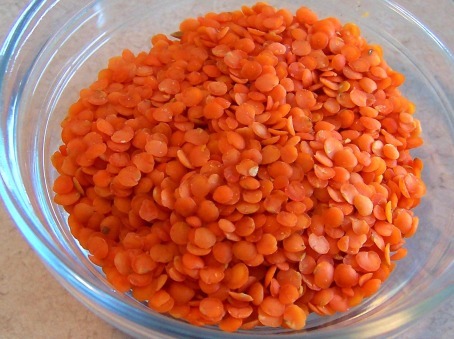 Drain the lentils well and set aside a cup of of lentils. 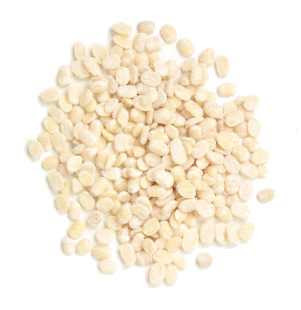 Using a food processor or blender, process the remaining lentils until it becomes a paste that sticks together. If you grab a spoonful, you should be able to form it into a ball or patty without it falling apart. Add a little bit of water as you’re blending, if you need. 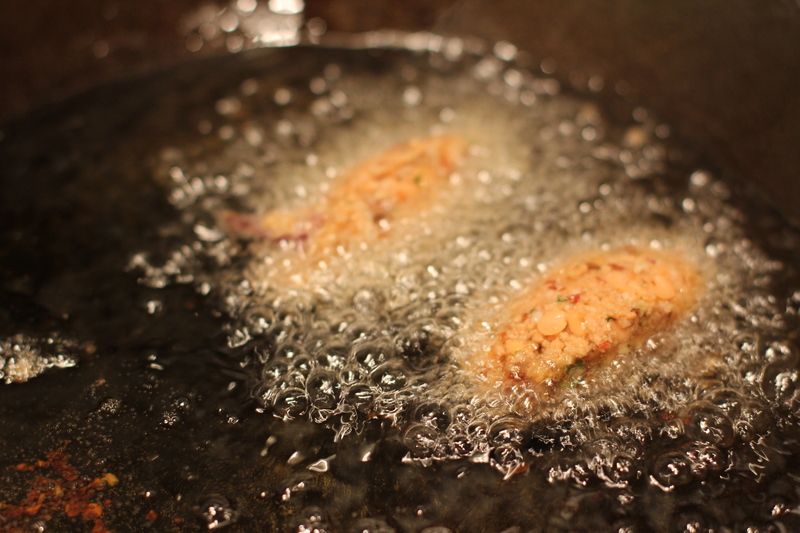 The more water you add, the more oil your vadai’s will absorb as they cook. 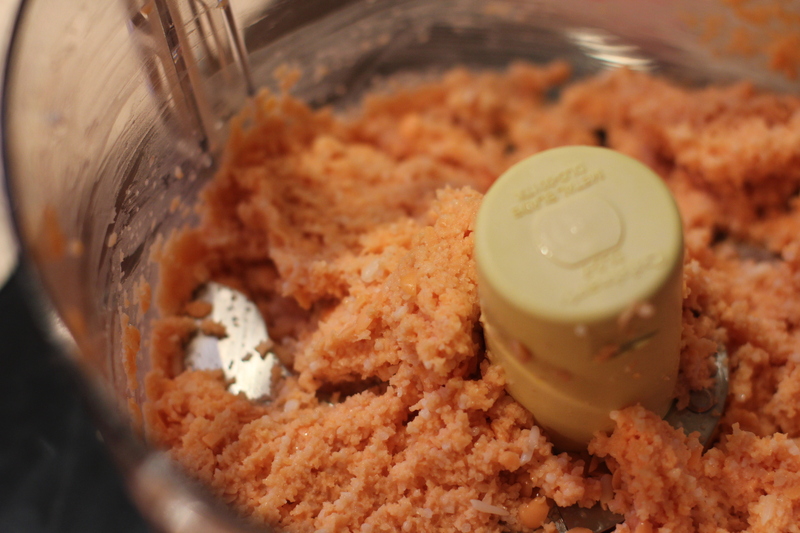 I use the pulse function on my food processor and usually blend in 2 batches. I blend one to a fine paste, and the second batch to a slightly coarser paste. 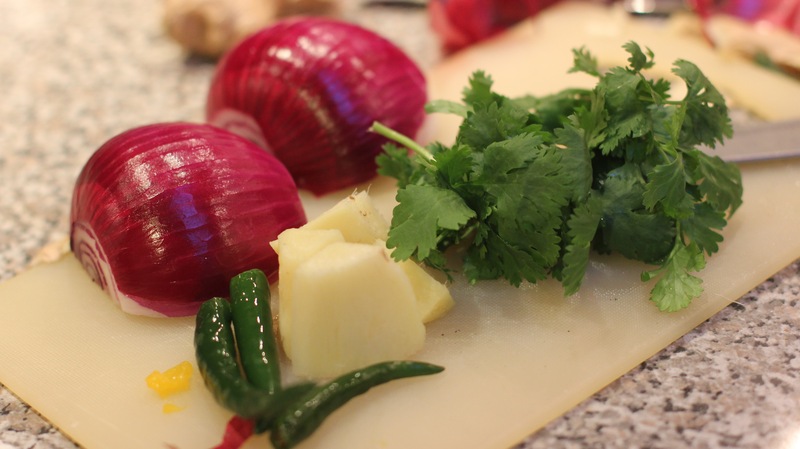 I also use the food processor to chop the onions, ginger, curry leaves, chillies and coriander. 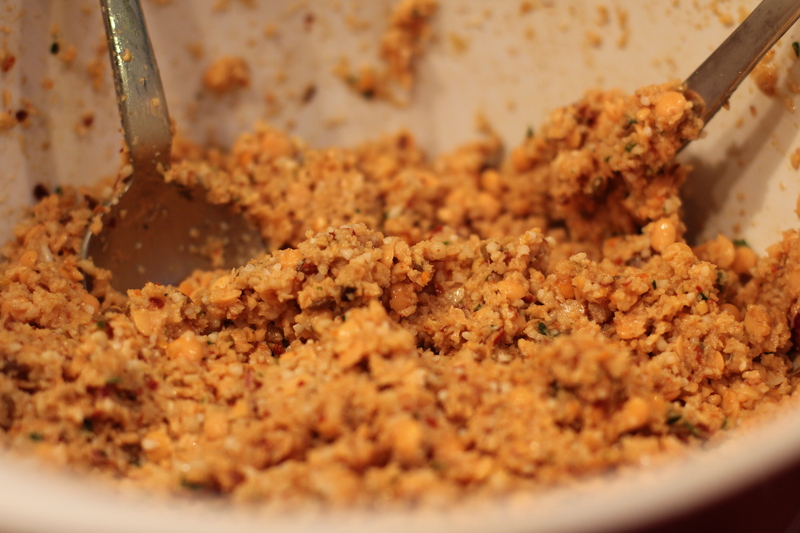 Combine the onion mix, the ground lentils and the whole lentils. Finally add the remaining spices and mix thoroughly. 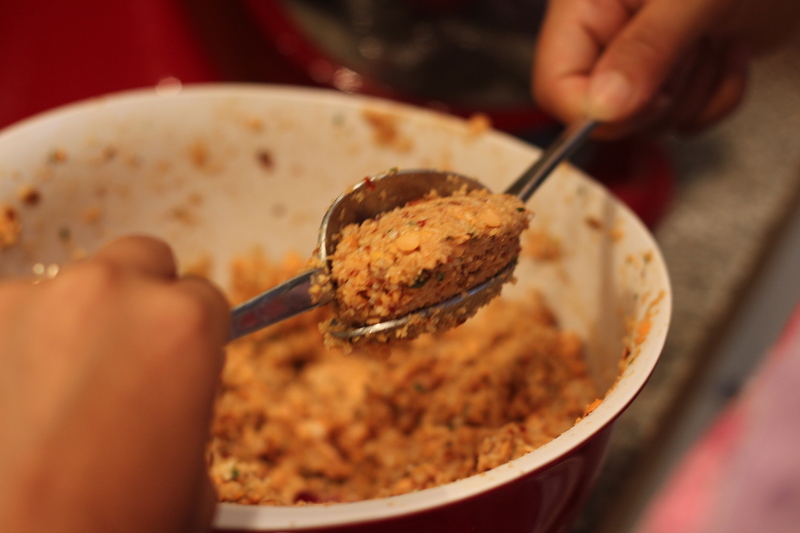 Using your hands or spoons, form the mixture into patties. I make little quenelles using 2 spoons. I know this isn’t the traditional shape but it keeps my hands clean to turn the already frying vadais and there’s no need to wash my hands every 5 minutes. Feel free to make the traditional flattened patty shape. 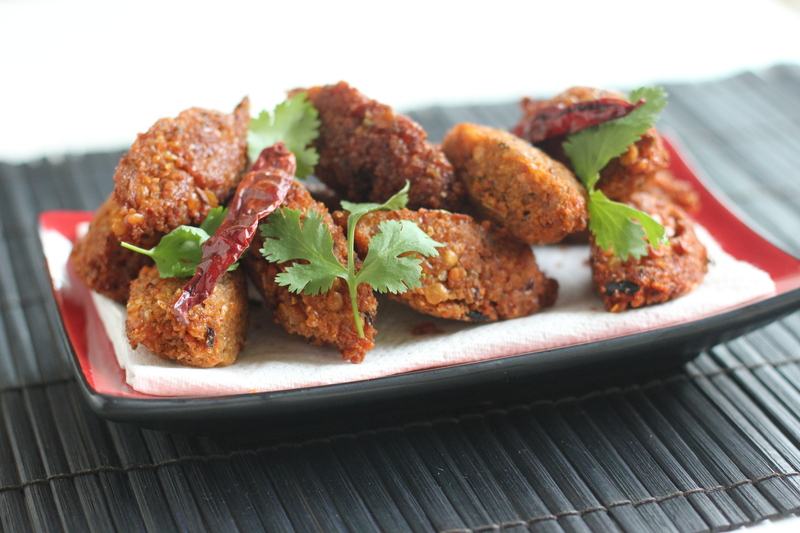 Fry them in batches of 5-8 in a large wok or frying pan on medium heat until the vadais are crispy on the outside and cooked through. I usually test as I go. 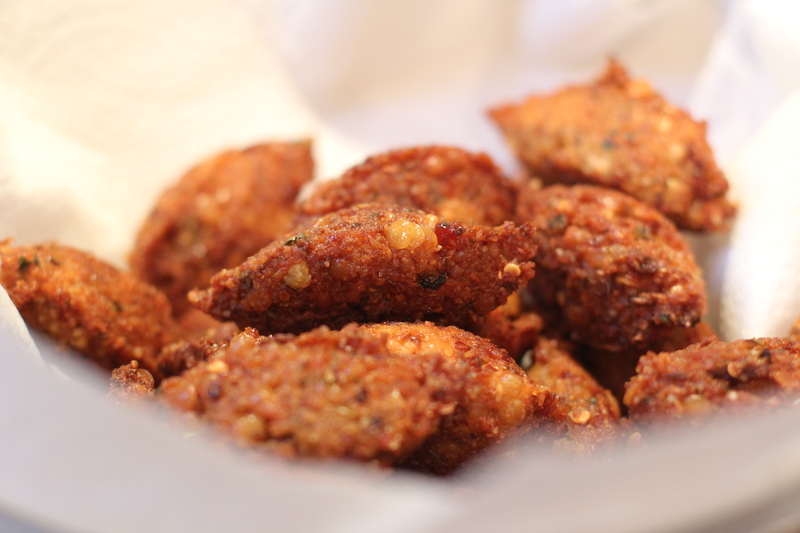 Vadais are best served hot with a cup of hot sweet tea. If you’re storing them, reheat them in a 180 celsius (350 fahrenheit) oven for 10-15 minutes to get that crispness back. Yummm! 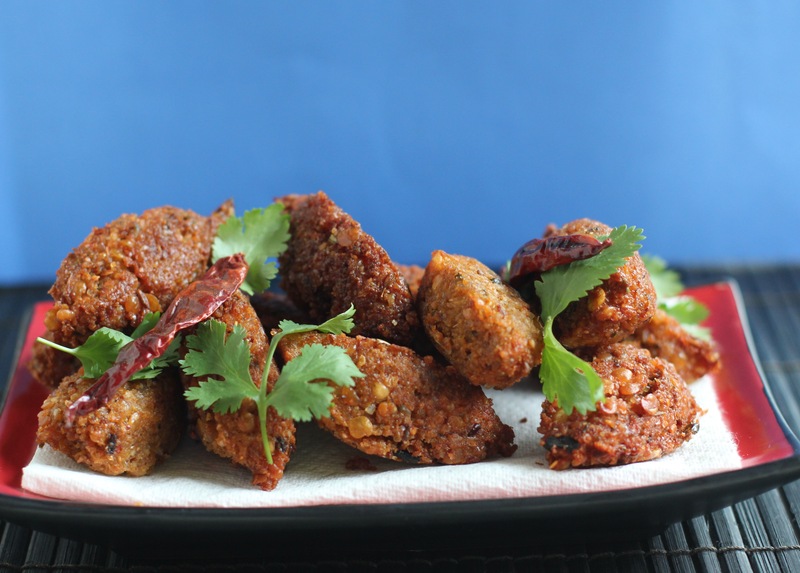 I’m going to try this :D. Do you have a recipe for Ulundy vadai Akks? I do! I’ll post it in the next couple of weeks.